Welcome to the recently renovated Fairfield by Marriott Rochester South. We are located just a short distance from Marketplace Mall, several universities, restaurants and business parks. You will find all the comforts of home in our guest rooms, which include microwaves and refrigerators, 49 flat screen televisions with Netflix, complimentary Wi-Fi and plush bedding. Start your day with our complimentary hot continental breakfast and 24 hour coffee bar. 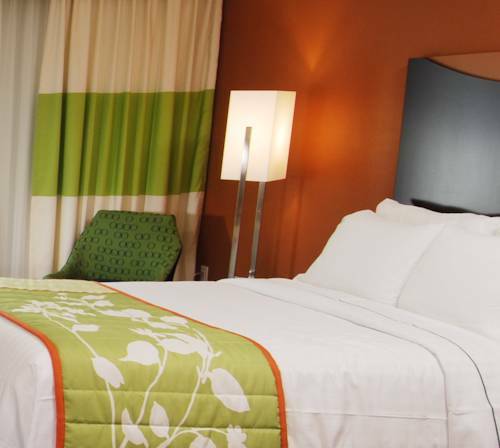 Whatever brings you to Rochester NY, at the Fairfield Inn, you are our #1 priority. We promise you'll be satisfied, or we'll make it right. That's our commitment to you. Ask us about The Fairfield 100% Guarantee.